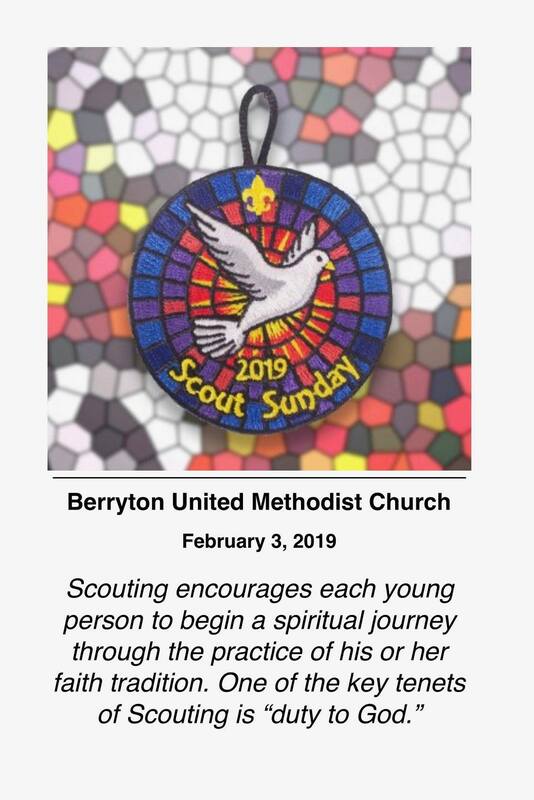 All scouts and their families are welcome to Scout Sunday at Berryton United Methodist Church on Sunday, February 3. Worship starts at 8:30 with more contemporary music and at 11 a.m. with more traditional music. If you plan to arrive in time to find a place to sit about 5 minutes ahead, that should be fine. The plan will be a change from past years. Near the beginning of the worship service, Rev. Andrew Conard will invite all scouts and leaders forward to be recognized. 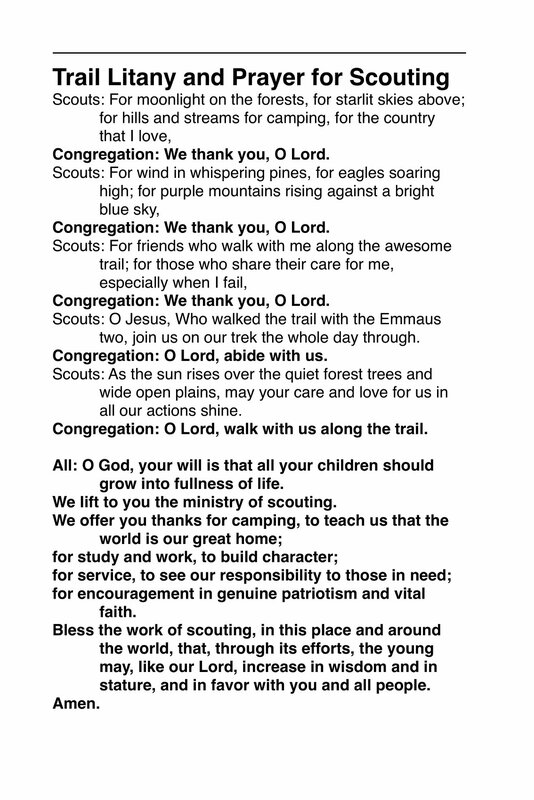 They will lead the congregation in a responsive reading (Trail Litany) and prayer for scouting which you can find in the links below. These will be printed and available that Sunday morning. 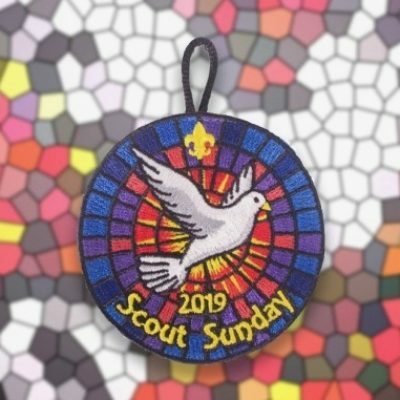 Each scout who is present will receive a 2019 Scout Sunday temporary patch.